A reporter from Harpers Weekly returned to Oklahoma City two months after its birth to find its progress remarkable beyond belief. 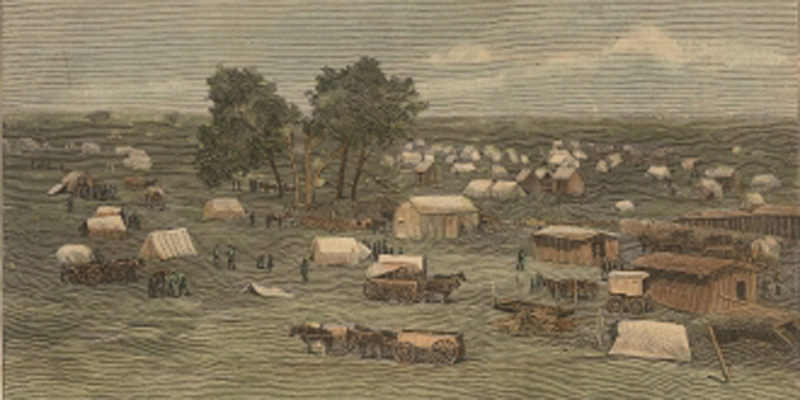 "That Oklahoma would, in the first two months of its existence, get much beyond its chaotic state of tents and hap-hazard existence was not thought possible even by those enthusiasts whose imaginations were as rosy as the soil of the Oklahoma uplands; that it would in that time have better buildings than many Western towns ten years old was simply not thought of at all. 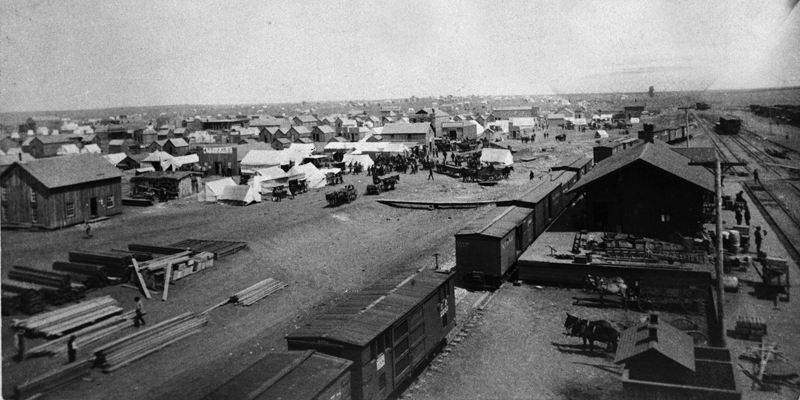 "The wonderful rapidity with which Oklahoma City and Guthrie [e]merged from what at first appeared to be confused camps of holiday excursionists into matter-of-fact towns of excessively practical ways of thought, showed plainly the dominating influence of the experienced Kansas town-builder. 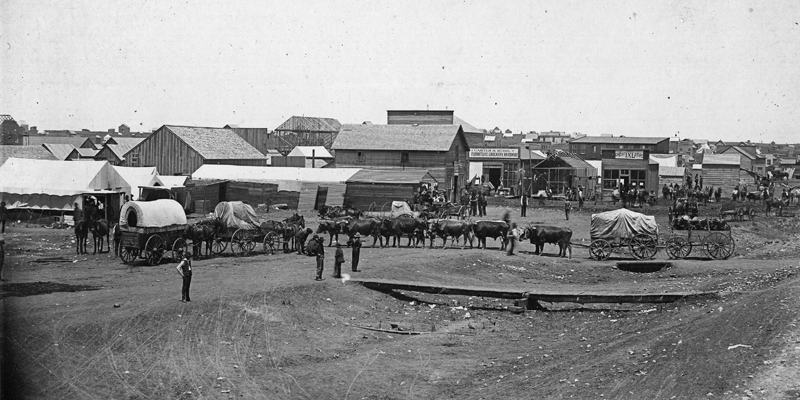 No people other than those who had grown skillful in the work of building pioneer towns in the West could have created a town of such compactness, completeness, and future promise as Oklahoma City in the incredibly short space of time of two months. The result shows that the new citizens of Oklahoma had planned what to do weeks ahead, that they had ordered their lumber and other building supplies, and that, with the exception of delays unavoidable in a pioneer country, they had carried out their arrangements like clock-work."